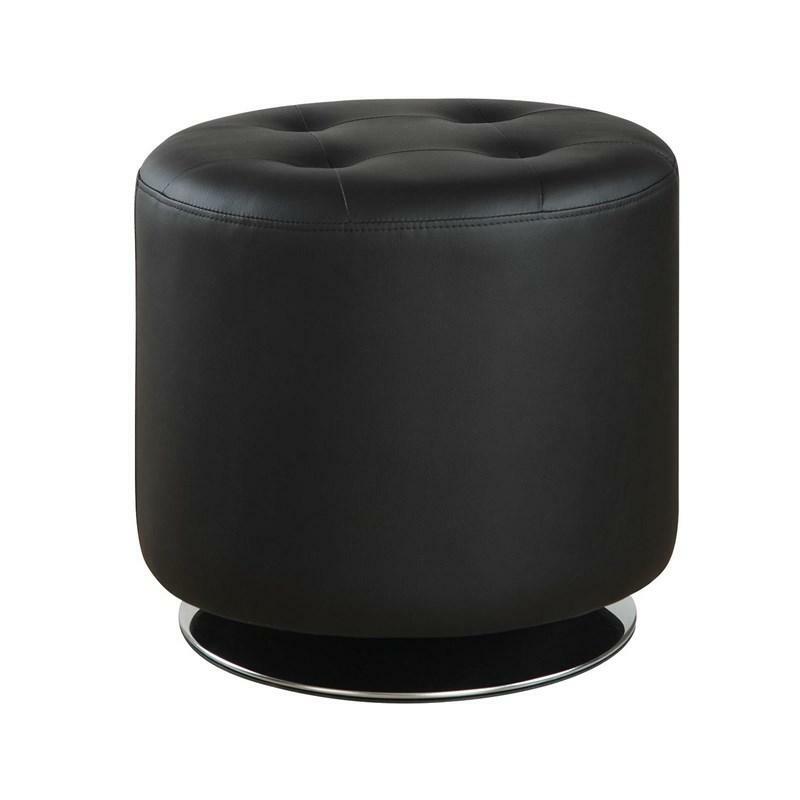 Volume 1.37 cu. 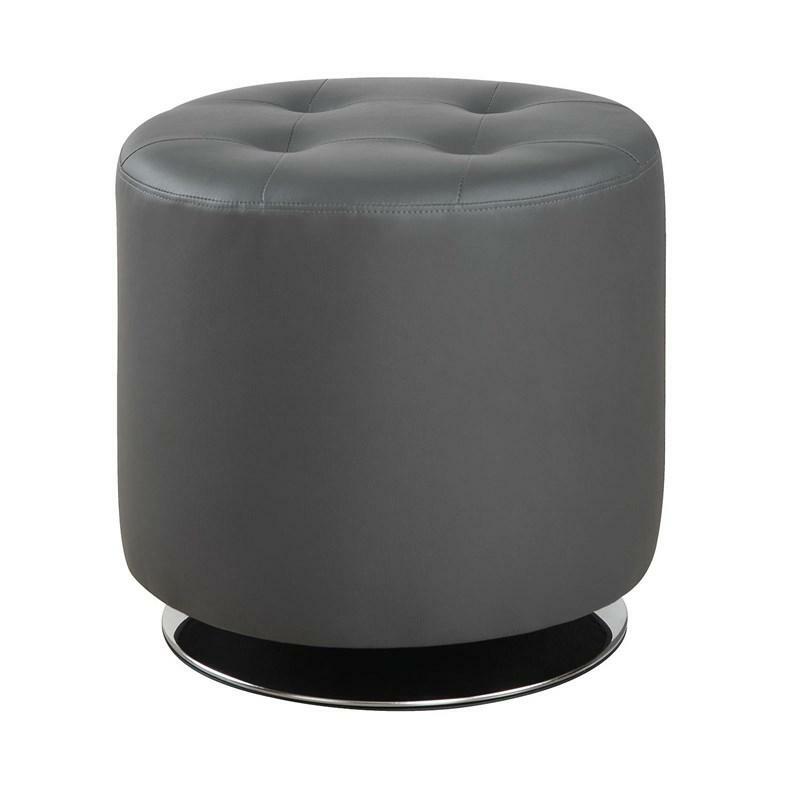 ft. / 0.04 cu. 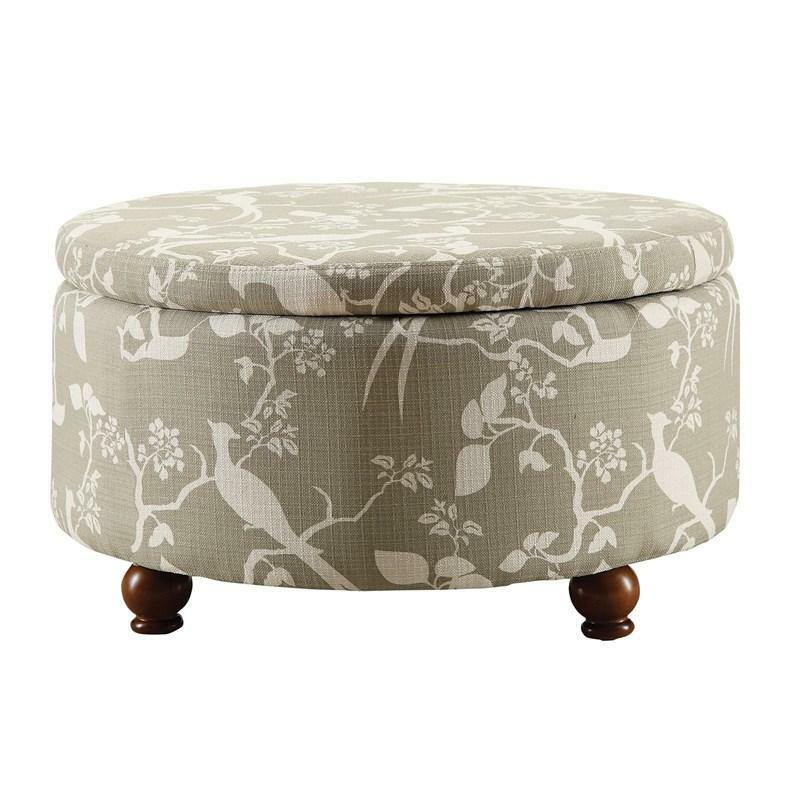 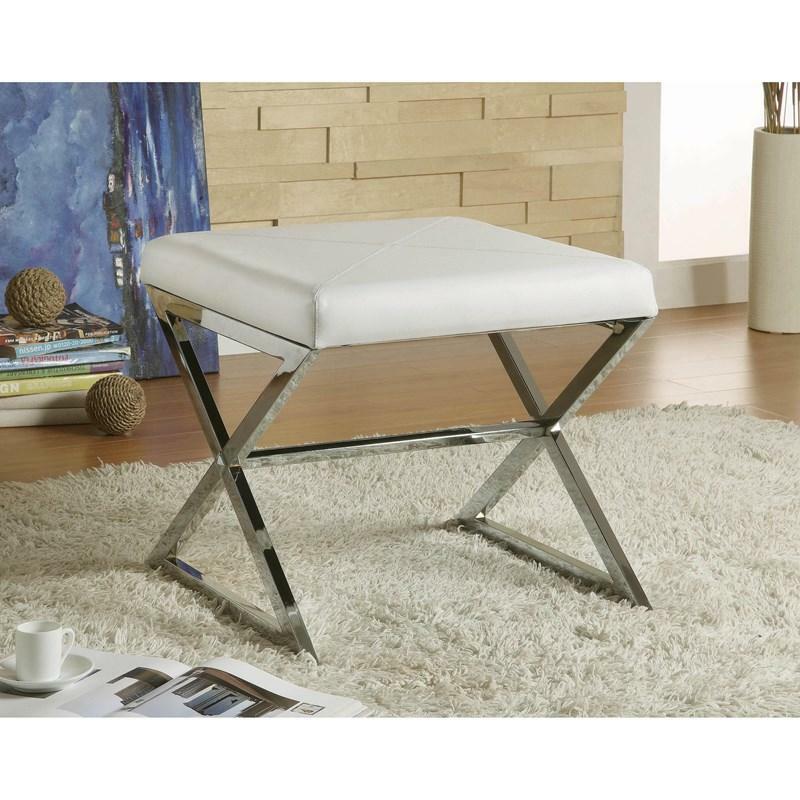 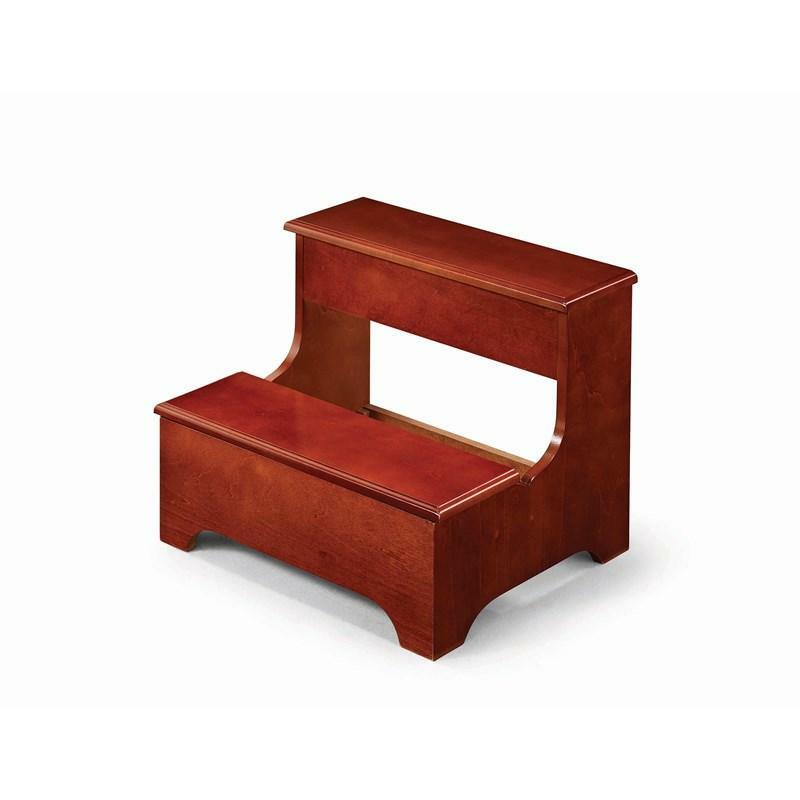 m.
Great contemporary style gives this sleek, sturdy ottoman a place in any stylish room. 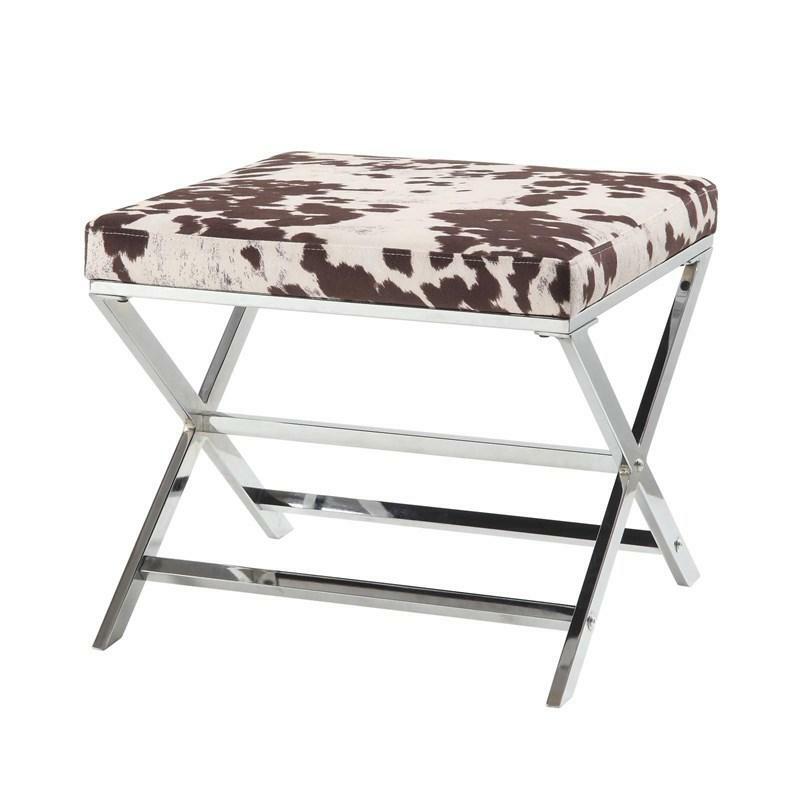 The white, faux leather cushion adds comfort atop silver, crossed legs making it a wonderful addition to bathrooms and bedrooms. 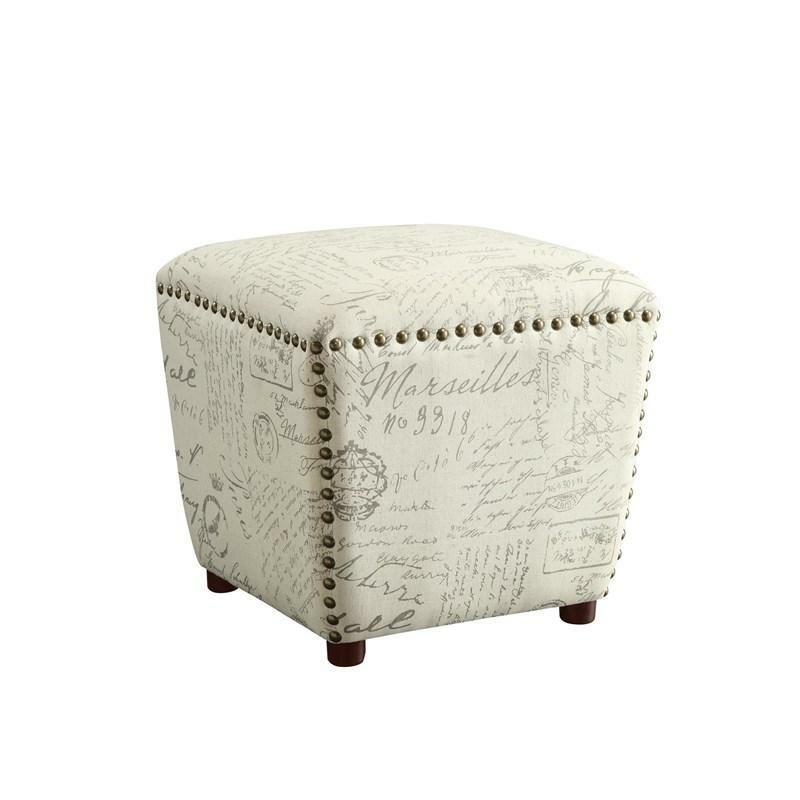 This Ottoman features a French script pattern fabric with bronze nailheads and espresso legs. 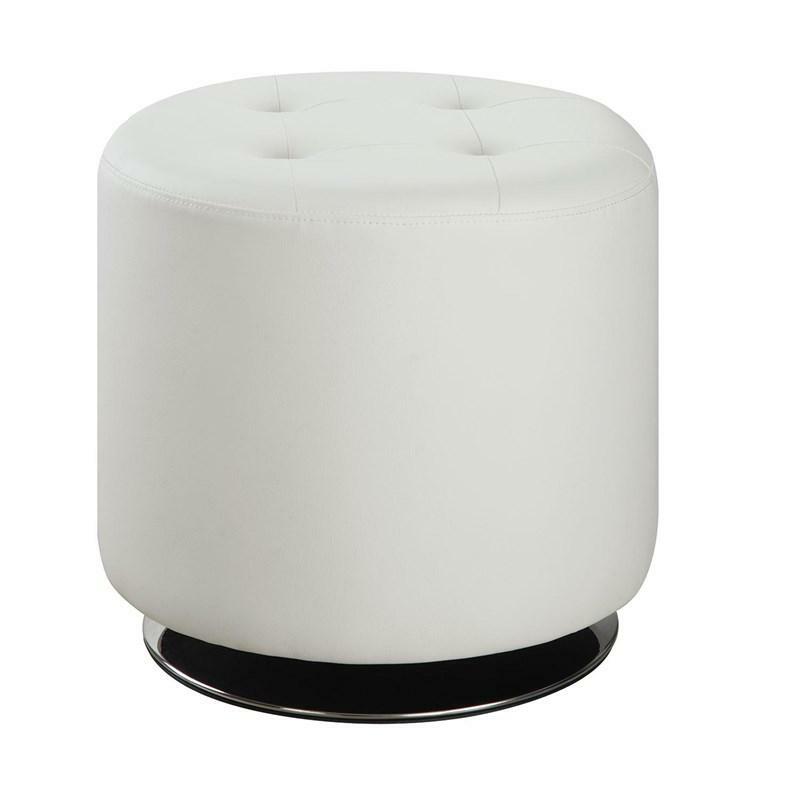 Wrapped in linen it also features an attached seat. 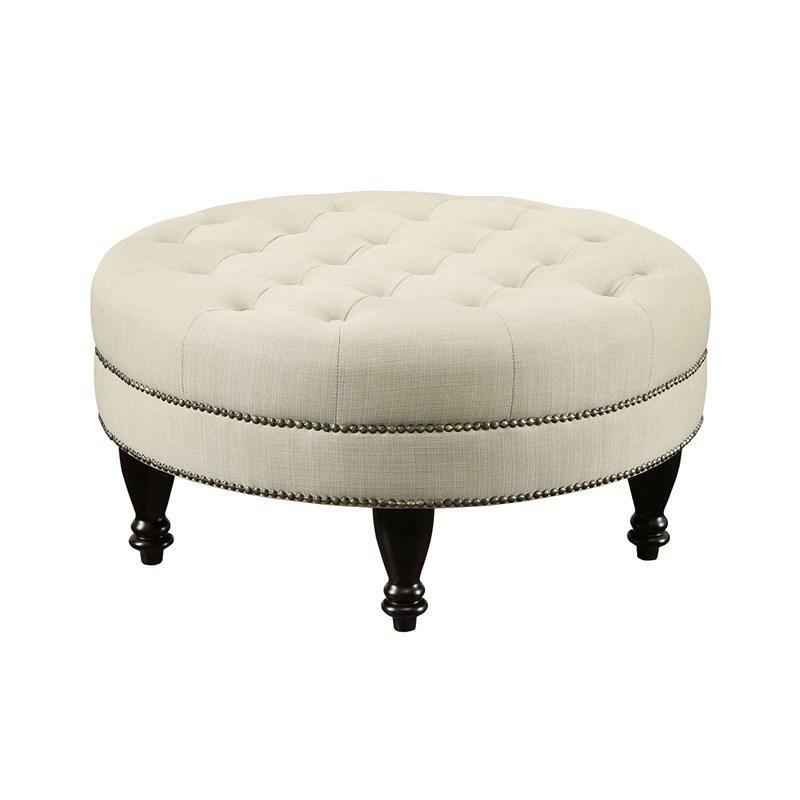 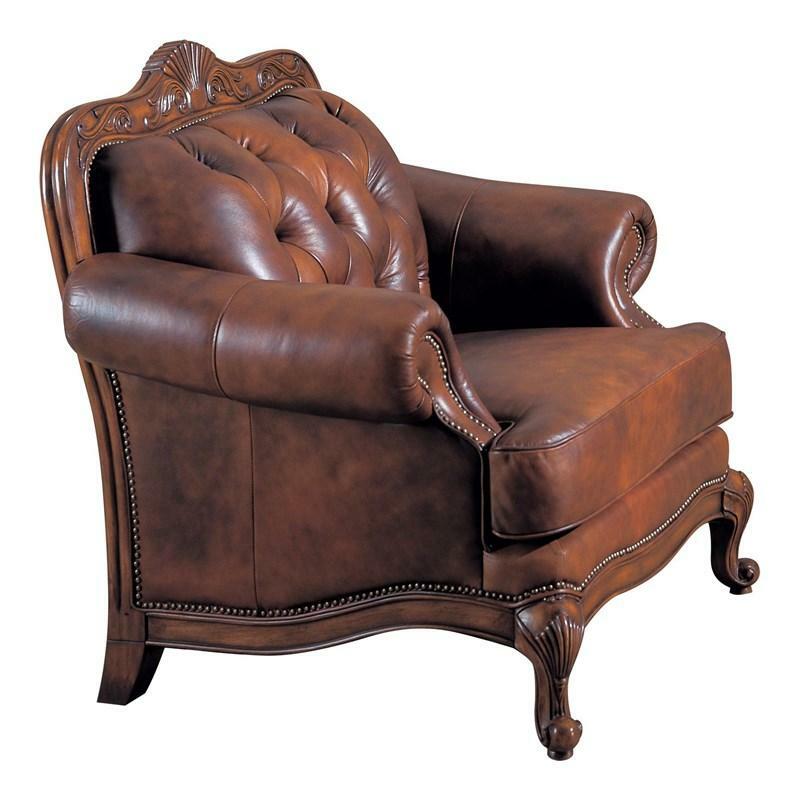 Can be used as seating or as an accent piece. 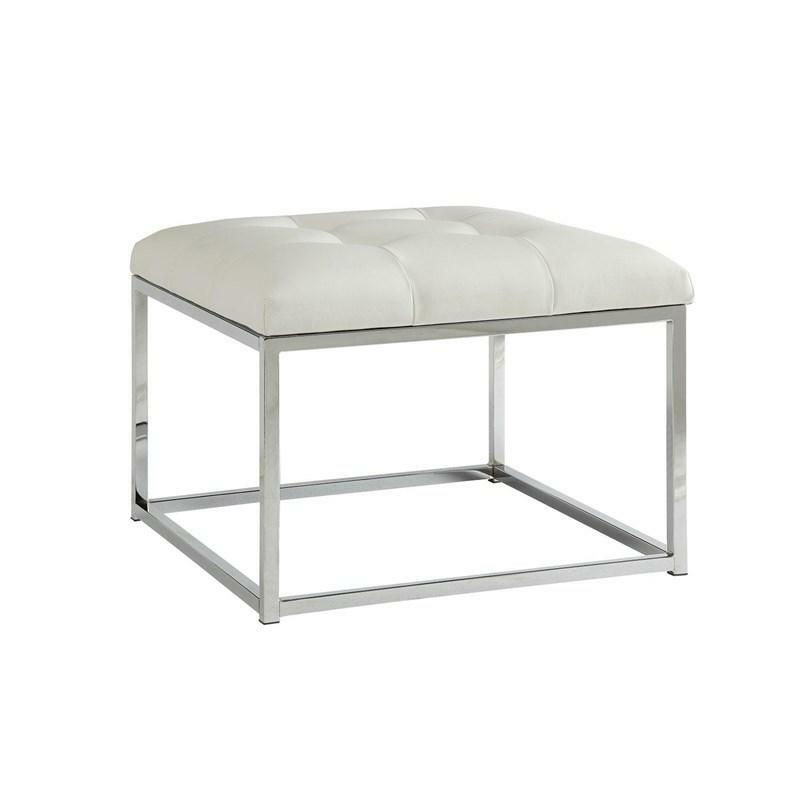 This Coaster Furniture ottoman features a contemporary chrome frame and is wrapped in white leatherette upholstery.